From Antarctic adventures to friendly ghosts, Titanic inspired décor to grocery shopping, there’s more to Irish pubs than colorful exteriors and cozy interiors. 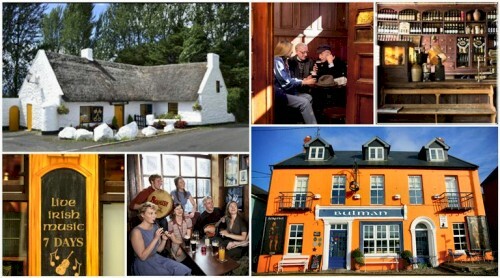 Take a closer look at 9 unique Irish pubs, all with fascinating stories to tell. This entry was posted in Arts / LifeStyle / Travel and tagged Ireland, Pubs. Bookmark the permalink.